The $6.5 million Beverly Hills mansion of Priyanka Chopra and Nick Jonas REVEALED! 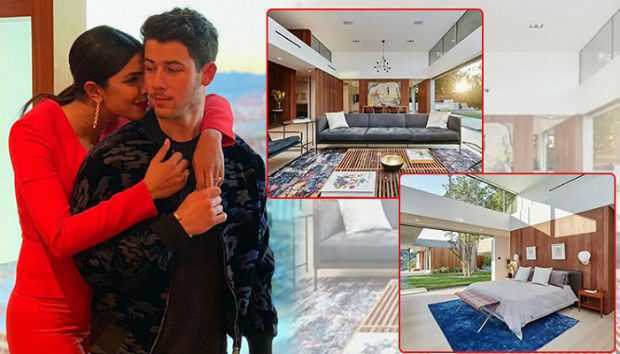 American singer-actor Nick Jonas is all set to welcome his bride, the Bollywood diva Priyanka Chopra, in their stunning new mansion in the posh suburb of Beverly Hills. Priyanka, after her marriage with her fiancé Nick Jonas, will shift and will live a great life in their swankiest crib. According to the recent report by TMZ, the luxury pad in the ‘Beverly Hills Post Office, Los Angeles, Pin Code: 90210’ was bought by the Jonas-Chopra couple for a $6.5 million price. The luxury mansion has five bedrooms and four bathrooms in a total area of 4,129 square feet. Besides, it also features an ungated pool overlooking the hills. The TMZ report also states that Nick Jonas purchased that property before he finally proposed the Bollywood diva in July 2018.